Want to know how to avoid heart trouble? You can start by asking a nurse. Or, better yet, about 84,000 nurses. A 14-year study of 84,129 nurses — published in the New England Journal of Medicine in 2000 — provides a blueprint for protecting the heart. You don’t have to be a medical professional to follow it, either. No matter your age, your gender, or your past lifestyle, now’s the time to start building a healthier heart. 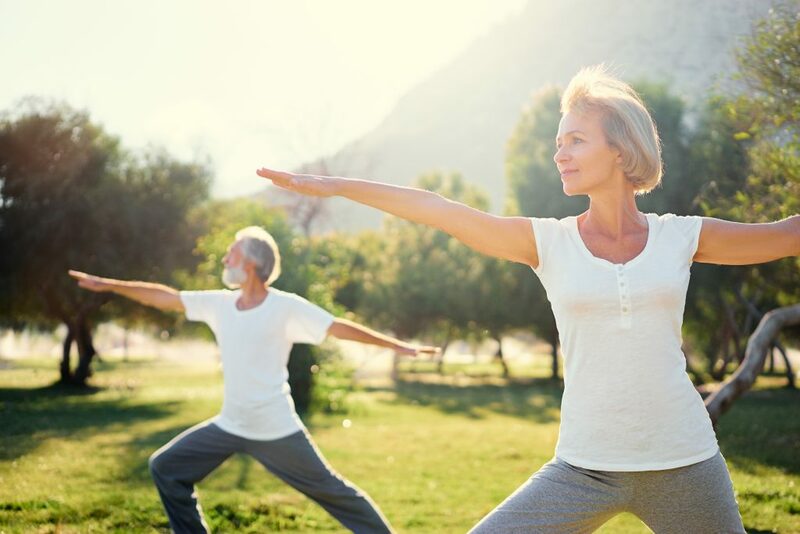 The Nurses’ Health Study, conducted by researchers at Harvard Medical School, proved one crucial point: Healthy living can help protect the heart against the ravages of disease and time. The researchers found that one group of women was five times less likely than the others to have suffered a heart attack or to have died from heart trouble during the 14-year study. These strong-hearted women had different backgrounds and came from different parts of the country, but the big story is what they had in common: They ate a nutritious, low-fat diet, they refrained from smoking, they exercised regularly, they maintained a healthy weight, and they drank alcohol in moderation. These women’s healthy practices were a blueprint for good health. And to family doctors and cardiologists everywhere, “healthy diet, no cigarettes, regular exercise, healthy weight, and alcohol only in moderation” serve as a mantra for healthy living. Unfortunately, few people live up to this ideal. Nurses may be health-conscious people in general, but only 3 percent of the subjects in the Nurses’ Health Study met all five criteria. 1. If you smoke, stop. Cigarettes damage the arteries and speed the buildup of cholesterol and plaque, the first step toward a heart attack. In the Nurses’ Health Study, just one to 14 cigarettes per day tripled the risk of heart trouble. Other studies have found that smoking at least 25 cigarettes a day may raise the risk 15 times as much. If you’re a smoker, quitting RIGHT NOW is the best thing you can do for your heart. Within two years, the threat of the heart attack will drop to the level of a person who has never smoked. 2. Load up on heart-friendly foods. For most people, the battle against heart disease should start in the kitchen. By getting about 30 percent of your calories from fat (less than 7 percent from saturated fats), eating five to seven servings of fruits and vegetables every day, and eating plenty of whole grains, you can lower your cholesterol level, protect your arteries, and slash your risk for a heart attack. Some types of fats, such as omega-3 fatty acids found in fish, may help lower triglycerides and provide other benefits. Talk to your doctor about how to increase your intake of good fats while cutting down on the “bad” fats. The right foods can provide dramatic protection. For instance, a study of more than 22,000 men, reported in the International Journal of Epidemiology, found that men who ate two-and-a-half servings of vegetables every day lowered their risk of coronary heart disease (blockages in the arteries that feed the heart) by 20 percent compared with men who ate one serving each day. Each additional serving cut the risk by another 20 percent. The protection was especially strong among men who smoked or were overweight. Eating right doesn’t have to be hard work. You probably already enjoy fruits and vegetables, so why not enjoy them more often? And if you think it’s hard to go low-fat, consider this: Most people can cut their intake of artery-clogging saturated fat in half by avoiding butter, margarine, mayonnaise, fatty meats, and dairy products made from 2 percent or whole milk. If you eat a typical diet of 2,000 calories a day, no more than 30 to 35 percent of that should come from fat — and only 7 percent or less from saturated or “bad” fat. That amounts to no more than 16 grams of saturated fat a day. You can find your saturated fat intake by reading the labels on processed foods, which list the grams of processed fat they contain. In addition, read the product labels and avoid cookies, chips, and other snack foods high in “partially hydrogenated oils,” or trans fats, which can also raise your level of artery-clogging cholesterol. It’s also safe to assume that restaurant foods that are fried or loaded with cheese and sour cream are probably topping the charts in saturated fat. Regular exercise can strengthen your heart, increase your HDL cholesterol (the “good” cholesterol that helps keep your arteries clear), lower your blood pressure, burn off extra pounds, and just plain make you feel good. And it doesn’t take an Olympic effort. The American Heart Association recommends at least 30 minutes of moderately vigorous exercise most days of the week. Of course, exercise can be risky for some people with heart disease. Check with your doctor before starting a new workout program, and work up gradually. Don’t be a “weekend warrior” at the gym after being a couch potato all week: It’s a recipe for serious injury. Since too much cholesterol contributes to plaque buildup in the arteries, it’s best to keep your total cholesterol level below 200 milligrams per deciliter. Anything between 200 and 240 mg/dL is considered worrisome, and a level over 240 is often a serious threat. The basic goal is also to keep your “good” HDL cholesterol high and your “bad” LDL cholesterol level low. If you’re a man, your HDL should ideally be at least 40 mg/dL; for women, the American Heart Association recommends an HDL level of at least 50 mg/dL. If you don’t already have coronary heart disease and if you have fewer than two of the major risk factors — obesity, high blood pressure, or a family history of premature heart trouble — your LDL cholesterol should be below 130 mg/dL (and preferably under 100). If you already have coronary artery disease or diabetes mellitus and your LDL is over 100, your doctor will probably recommend you take cholesterol-lowering drugs to get your LDL below the 100 mark. When it comes to the heart, bigger isn’t better. A little extra weight can put a strain on your heart, boost your blood pressure, and significantly raise the risk of a heart attack. Ideally, your body mass index (BMI) should be between 18.5 and 24.9. According to guidelines issued by the American Heart Association in July 2002, a simpler alternative to BMI is to measure your waistline — men should measure 40 inches or less and women should measure 35 inches or less. Even if you can’t reach that goal, a weight-loss program that combines exercise with a healthy, low-fat diet will do wonders for your heart. 6. If you drink, take it easy. One or two alcoholic drinks per day can help raise your good HDL cholesterol and help prevent dangerous blood clots. (According to federal health agencies, women should limit their alcohol intake to up to one drink a day, since their bodies metabolize alcohol differently than men; men should limit their intake to no more than two drinks a day.) However, any more than a couple drinks a day can increase your blood pressure. Extremely heavy drinkers can also suffer damage to the heart muscle (cardiomyopathy). 7. Keep your blood pressure under control. Since high blood pressure increases the risk of coronary artery disease and stroke, it’s good to keep yours in the optimum range: less than 120/80. If you test 120-139/80-89, you have prehypertension and you should make arrangements to see your doctor right away, to discuss lifestyle changes you can make to bring down your reading. If you have high blood pressure, meaning 140/90 or more, your doctor will likely prescribe medication to keep it in check. 8. If you’re under too much stress or feeling depressed, seek out help from a psychologist or therapist. Emotional distress is hard on the heart, and professional help can be a true lifesaver. Several studies suggest that depressed people who are otherwise healthy are more likely to develop heart disease than peers who aren’t depressed. For example, a 13-year study of 1,500 subjects conducted at Johns Hopkins University found that an episode of depression increased the risk of heart attack more than fourfold. These studies take smoking and other factors into account, providing strong evidence that depression alone may be enough to cut down a once-healthy heart. It’s not too soon to involve your children: You can help them prevent heart disease in later life by getting used to good habits right now. By exercising and playing with your kids, not smoking, and providing daily fruits, veggies, and whole grains rather than sodas and junk food, you’ll set a great example. Involve the whole family in providing support for each other — don’t just focus on one “unhealthy” member. Don’t feel like you have to make all these changes at once, which can lead to frustration and overload. To ensure success, start with simple changes that are reasonable and doable. Talk with your physician about the most important steps you need to take to protect your heart. The American Heart Association recommends a checkup every two years, ideally starting at age 20, where your doctor can measure your blood pressure, body mass index, waist circumference, and pulse. Depending on your particular situation, you should have your cholesterol and glucose tested at least every 5 years. Ask you doctor if you should check it more frequently. If you’re 40 or over, the AHA suggests that your doctor measure your risk factors and then calculate your chances of developing cardiovascular disease within the next 10 years. It’s also important to seek professional help if you’re taking steps that involve some risk (such as beginning an exercise program in middle age) or that are tough to do on your own (like quitting cigarettes). There are no magic bullets to heart health, so it’s good to be wary of those who say there are. Beware of the spectacular claims found on some “health” sites on the Internet: Anyone can post an opinion or claim there without offering proof or documentation. If it’s sounds too good to be true, it probably is. Remember, it’s never too late to develop healthy habits. The road to a strong heart begins at home, but it may have to take a detour through your doctor’s office. If you have high blood pressure, high cholesterol, or diabetes, you’ll need medical help to give your heart maximum protection. If you have diabetes, you can decrease your risk of heart disease by maintaining healthy blood sugar levels and by keeping your blood pressure and cholesterol under control. National Institutes of Health. “Update on Cholesterol Guidelines: More-Intensive Treatment Options for Higher Risk Patients.” July 12, 2004. Stampfer, MJ et al. Primary prevention of coronary heart disease in women through diet and lifestyle. New England Journal of Medicine. July 6, 2000. 343(1): 16-22. Masley, S.C. Dietary therapy for preventing and treating coronary artery disease. American Family Physician. March 15, 1998. American Heart Association updates heart attack, stroke prevention guidelines. July 15, 2002. Statement from Elizabeth G. Nabel, M.D., Director of the National Heart, Lung, and Blood Institute of the National Institutes of Health on the Findings of the Women’s Health Study. NIH News. March 7, 2005. Smith SC et al. AHA/ACC Guidelines for Secondary Prevention for Patients With Coronary and Other Atherosclerotic Vascular Disease: 2006 Update. Circulation. 113:2363-2372. May 2006. American Heart Association. Physical Activity. American Heart Association. Know Your Fats. September 2007. American Diabetes Association. Taking Care of Your Heart. American Heart Association. What Is High Blood Pressure? July 2009.